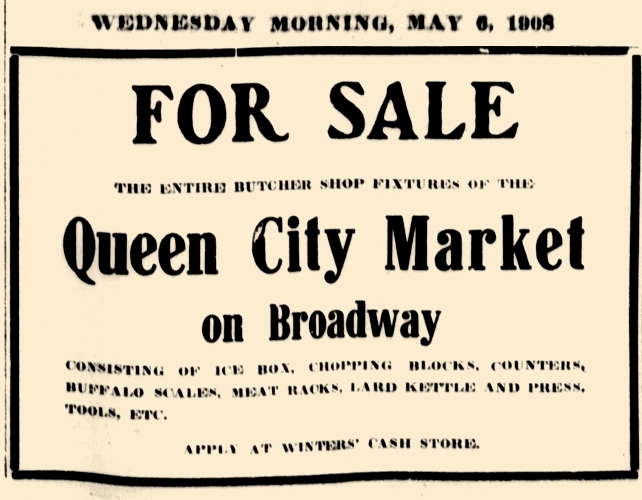 The Queen City Market was located in the Herald (newspaper) Building, at 105 Broadway. The building was torn down during the 1970s Urban Renewal era. 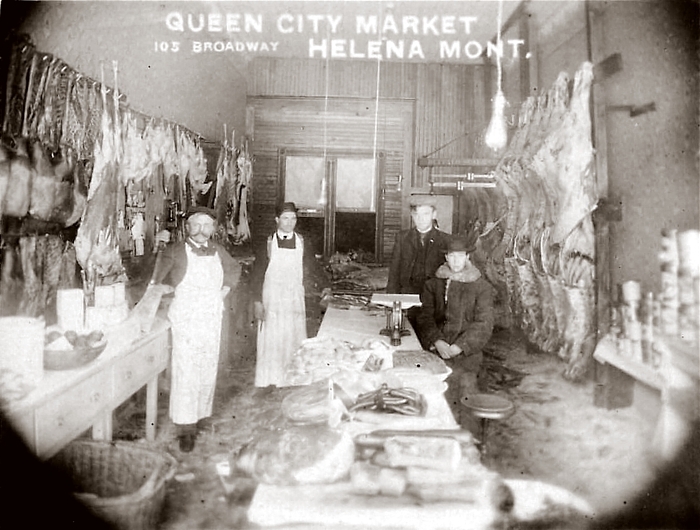 According to entries in Helena city directories, the business only lasted for about one year, 1907-1908. It was operated by John F. Langenbach, Jr. (1885-1943). Presumably, Mr. Langenbach is the man on the left in the photo; the others pictured are unknown.